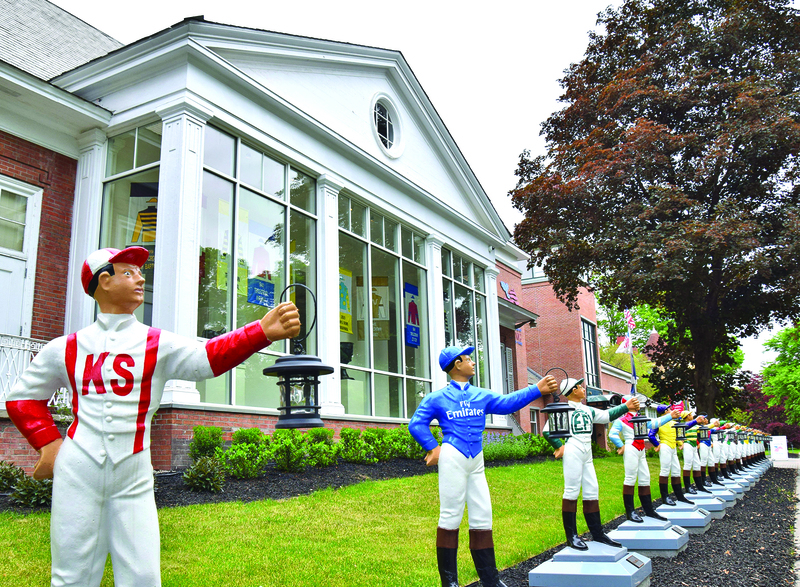 The National Racing Hall of Fame and Museum announced a $20 million project that will create a multi-screen theater in the round inside the facility on Union Avenue in Saratoga Springs. The project was announced Aug. 3 by John Hendrickson, museum president, at the ceremony where new members of the Hall of Fame were inducted. The theater is expected to be completed by 2020. The Whitney family, long a friend and benefactor of the thoroughrbed racing industry, donated $1 million toward the project. 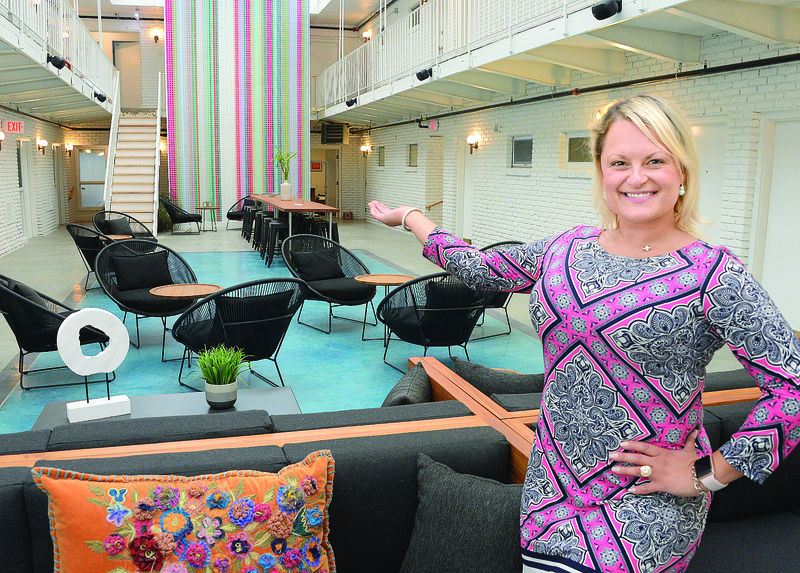 Maria Sprague, a guest services staffer with The Downtowner, poses in the lobby of the refurbished facility in Saratoga Springs. That area held a swimming pool before extensive renovations. Lark Hotels, a boutique hotel collection with 21 properties in New England and beyond, has opened its first New York hotel—The Downtowner on Broadway in Saratoga Springs. The site, at the corner of Broadway and Division Street, was known for years as the Saratoga Downtowner motel, dating back to the 1960s. It was sold last October to Lark Hotels, a Massachusetts-based company. The company paid former owners, the husband-and-wife team of Mary Cae and William Asay, $4.55 million for the motel. With the release of the 2017 population estimates, it appears that population growth for the region’s municipalities remains stable and concentrated in Saratoga County, according to the Capital District Regional Planning Commission. The commission — which covers Albany, Rensselaer, Saratoga and Schenectady counties — noted in a July news release that between 2010 and 2017 those communities posted largest residential gains. Halfmoon’s population rose by 13.5 percent, Ballston’s by 12.8 percent, and Malta’s 9.3 percent. Of the region’s top 10 fastest growing municipalities, seven are located in Saratoga County, the commission said. Halfmoon remains the fastest growing municipality in the region, growing just over 2,900 residents since the 2010 census. The Town of Ballston is second, growing by an estimated 1,247 residents since 2010. A Saratoga Springs family has donated $2.5 million to the Massry Family Children’s Emergency Care Center at Albany Medical Center, the region’s only pediatric emergency department. The donation from Robert and Lisa Moser, and their children, Carson, 10, and Emery, 8, supports Albany Med’s latest project, bringing the amount raised to more than $17 million of the $20 million goal, hospital officials said. 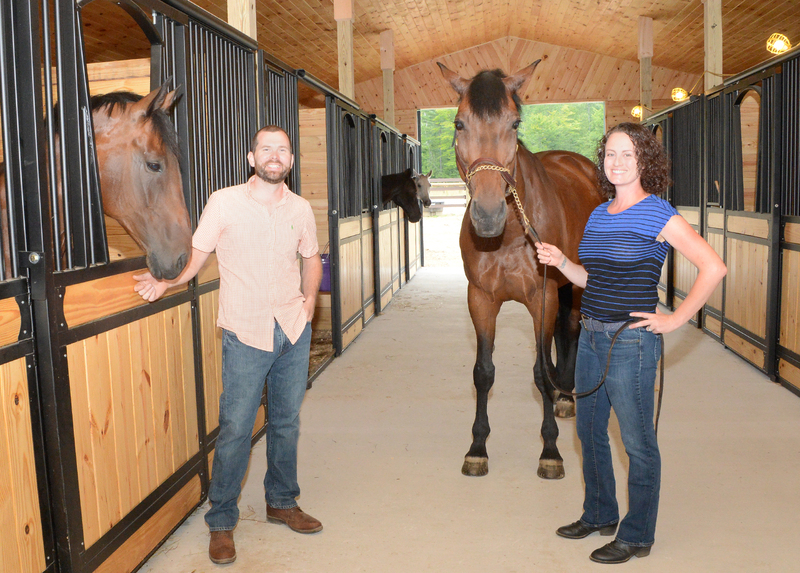 A ribbon-cutting ceremony was held July 30 and it opened to the public Aug. 1. At the ribbon-cutting, which was attended by donors and leaders from business, government, the community and the hospital, Albany Med President and CEO James J. Barba said the pediatric emergency department is a place where parents can bring their children with confidence that they will receive the best care possible in an age-appropriate setting. Arts and cultural organizations are a significant economic force in Saratoga County, generating more than $80 million in annual economic impact, supporting over 2,600 direct and indirect jobs, and serving more than 6.8 million patrons, including many tourists attracted to the county, according to a new report. 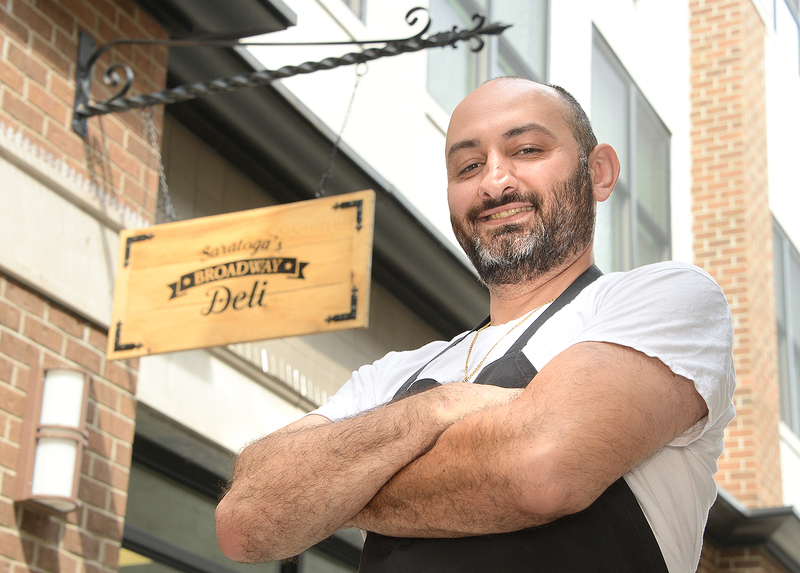 The Saratoga County Prosperity Partnership unveiled in June its inaugural Saratoga County Cultural Index that contained the statistical information. In creating the index, the Saratoga Partnership gathered information from 2016, including revenue, expenditures and attendance figures, from two dozen Saratoga County institutions presenting performing and visual arts, museums, and entities focused on preservation, history, and culture. It then applied metrics developed by Americans for the Arts, the leading nonprofit organization for advancing the arts and arts education, which annually reports on the arts and culture industry’s national economic impact. 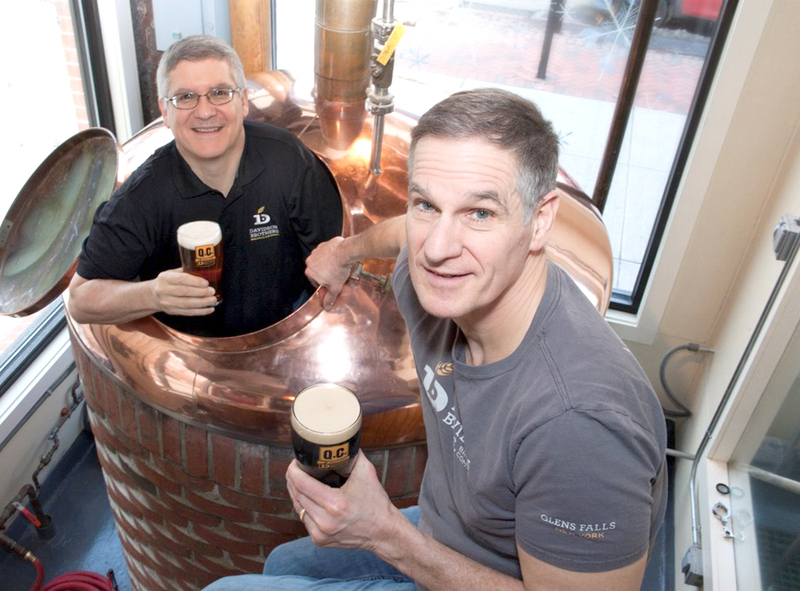 Rick Davidson, left, and John Davidson, owners of Davidson Brothers Brewing Co., are now having their products delivered by DeCrescente Distributing Co. in Mechanicville. DeCrescente Distributing Co. in Mechanicville announced in July a partnership to distribute Davidson Brothers Brewing Co. products. DeCrescente also has plans to distribute Davidson Brothers’ I-87 series, a family of American-styled IPAs named after the Adirondack Northway. James Boyd, owner of Ole Hustle on Caroline Street in Saratoga Springs, watches personal trainer Monique Ratt work out. The facility has heavy bags, free weights, resistance equipment and more. The owner of a new boxing gym, Ole Hustle, wants people to know that his 1,000-square-foot facility is packing a punch in the world of fitness. James Boyd said he had a clear idea for what he wanted to happen at the 51 Caroline St., Saratoga Springs, location. “My vision for this facility was to have a fun and inviting environment and also to have the equipment and trainers that give the best workouts possible,” said Boyd.